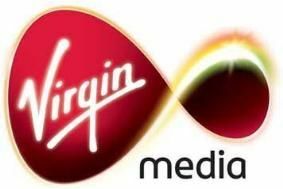 Virgin Media revenue up 5.8%, HD subscribers top 1.5 million | What Hi-Fi? The cable TV operator also says 50,000 people have pre-registered for its forthcoming TiVo service, due to launch in March/April this year. Overall the company reported a net loss of £141.4m in 2010, a significant improvement over the £357.8m loss – adjusted following the sale of Virgin Media TV to BSkyB last year – it posted in 2009. Virgin added 76,600 new customers last year, although new sign-ups for its TV service dropped to just 12,100 in the final quarter of 2010. Its broadband service fared better, with 44,100 new sign-ups in Q4, taking the total number of broadband customers to 4.29 million. More than 780,000 of those take the firm's 20Mb or 50Mb service, says Virgin. A cut in the cost of Sky's premium channels led to 60,000 more Virgin customers signing up for them.